DSBCD Production 2018 Research Session from Madeleine Twyman on Vimeo. Every year DSBCD presents a full length production based on a social issue aiming to impact positive change. This year we are tackling the issue of Climate Change and want to share the process! The creation (and most important part) of our productions starts with unity of intention: check out and hear the fresh & progressive thoughts of the intelligent and mature minds of the dancers at DSBCD. Our 2017 Production telling the story of our planet’s history from an Indigenous perspective. This piece is set to the music by A Tribe Called Red and Choreographed by Madeleine Twyman. Human Heritage from Madeleine Twyman on Vimeo. Our Surrender Gala was a tremendous success and a powerful night of creative healing! On Saturday February 25th, 2017 we raised over $5000 for The Durham Children’s Aid Foundation in honour of mental health awareness by using the arts to help and to heal! The goal of this event was to create connectivity in our community that encourages honest dialogue about mental health that promotes inclusivity. The Arts have proven to be very effective as a means of therapy and the night was a creative release of energy! In addition to a formal sit down dinner, there was professional and youth performances in Dance, Music and Spoken word. Proceeds from the evening helped create arts based healing therapy programs for local youth who have endured mental health issues, due to abuse and/or trauma in partnership with Art With Heart /Durham Children’s Aid Foundation. Students from The Durham School of Ballet and Contemporary Dance participated in an experiment where there refrained from using social media and electronic devices replacing it with real-time communication and/or in person activities. The real life experience of seeing how they felt with vs without the pressure/attachment of social media fuelled the creation of “Auto-correct humanity” choreographed by Madeleine Twyman set to the lyrics of Prince Ea. This 8 minute video chronicles the 6 month long experiment and rehearsal process culminating in the finality of the piece. This award winning short film has been featured at The Robert Mclaughlin Gallery, on Daytime Durham TV and by Prince EA. Moving Traffic from Madeleine Twyman on Vimeo. The Durham School of Ballet and Contemporary Dance (DSBCD), came together with Partners International Canada on June 12th, 2014 for a social inter-active event using the arts to help and to heal survivors of human trafficking. 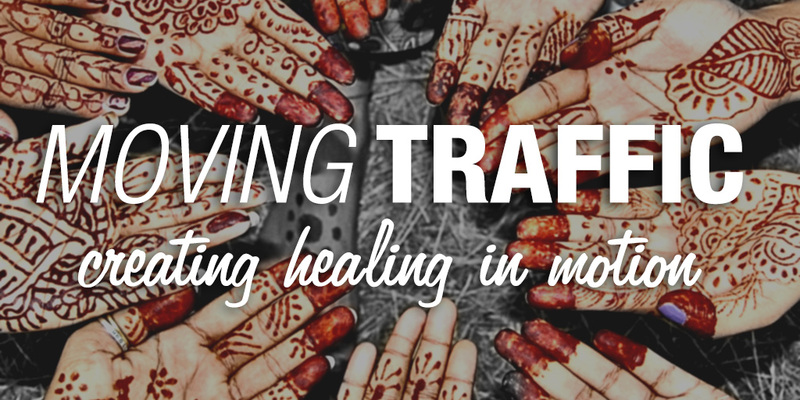 The fundraiser supported The Mahima Home, in Kolkata, India, a holistic care facility for minors who have been trafficked. The evening consisted of performances by The DSBCD youth dance company and high calibre professional performers in music and spoken word, raising over $5700 for The Mahima care home! The event itself was birthed by Madeleine Twyman, an Artist who is also the owner of The Durham School of Ballet and Contemporary dance in Whitby, Ontario. The event was inspired by a song she wrote title “Traffic” off her EP CHINESE BAMBOO. DSBCD’s vision is to encourage excellence in all genres of dance, but foremost to foster individuality and unique artistic expression. The arts speak a mysterious universal language that has the capacity to impact change in thought, which manifests in physical change. DSBCD is more than a competitive dance studio, it is an arts organization that mentors young girls to harness their power and be aware of what is going on in the world around them. To help others is to empower yourself, and the girls at DSBCD are learning this first hand. Corey Jon Baker from New York City, a celebrated Artist whose credits include the Broadway musical “Fela” as well as critically acclaimed choreography as artistic director of “Ballet Noir” performed, as well as set a piece for the DSBCD students. Corey is an electrifying performer whose passion ignites audiences in real ways and we were delighted to have him part of the experience and to share his artistry with the community. Thank you to Partners International for their amazing support! Our Food 4 Thought Drive was a huge success! This year we collected non-perishable foods and donated them to the John Howard Society. The entire DSBCD community donated food and helped to make our goals a reality. Giving back feels good! One of our favourite moments this year was handing out care packages to the homeless put together by our students at The Good Shepard Ministries in downtown Toronto. The students were amazed at the amount of people in need and experienced first hand the importance of giving back. It was an amazing day! This initiative was organized by DSBCD parent Dominique Chevers and we thank her for helping to make this happen.